Now this weekend is all about getting everything unpacked and into some sort of a "home", even if it's not perfect, the boxes have got to go! Here are faves of the month and have a great weekend. It is really spring yet?! Ahh your bar cart!! So darn cute, I think I need that acrylic wine bottle holder...! Congrats on the new pad! 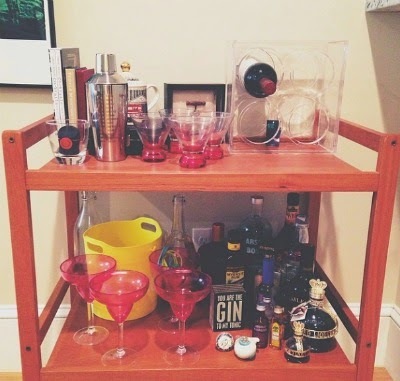 Love the pops of pink on your bar cart!